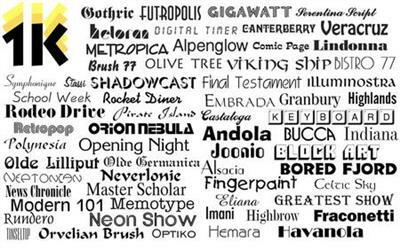 47.409 fonts - only TTF and OTF files. In alphabetical order - organized by font face name. No strange or abbreviation names. Get creative with a new collection of 1,000 OpenType fonts for commercial use. The font collection includes 240 unique font family styles, with 1000 total fonts. 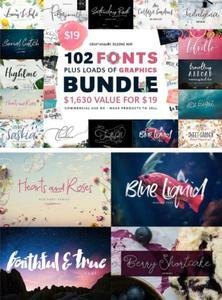 An excellent addition to any font collector's library for use in graphic and logo design, web design, scrapbooks, presentations, invitations, promotional material, advertisements, and more. Each font is in OpenType font format and can be used for any personal and business project on both Mac and PC computers. International character support is standard for nearly every font (bar code fonts and wingding fonts do not include international character support). New commercial use fonts for creative home and business projects. Get creative with a new collection of 1,000 OpenType fonts for commercial use. 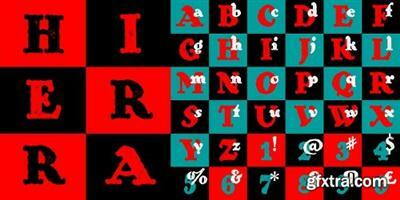 The font collection includes 240 unique font family styles, with 1000 total fonts. An excellent addition to any font collector's library for use in graphic and logo design, web design, scrapbooks, presentations, invitations, promotional material, advertisements, and more.